A classic fairy tale is reimagined like never before in this wicked slot by Microgaming - get ready to experience a twisted version of the old Little Red Riding Hood story in the seductively magical world of Wicked Tales: Dark Red. There’s a whole forest of fortunes and bountiful bonuses to be found in this dark world, including a Wolf’s Wheel Bonus, a Forest of Fortunes Pick Bonus, and plenty of free spins. This Microgaming fairy tale takes place on 5 wandering reels with 3 to 4 rows (due to the jumbo blocks) and 25 paylines. This wickedly good slot by Microgaming is a medium volatility slot with an RTP rate of 96.10%. You’ll have the unique chance to enter into an enchanted forest, full of prize-packed leather pouches. You might also have to defend yourself against the Big Bad wolf and his sharp teeth! There is a lot to discover in this slot, so immerse yourself into its dark universe and start spinning for features and thrills! Enter the enchanted woods by betting anywhere from € to 0.25 to € 200. 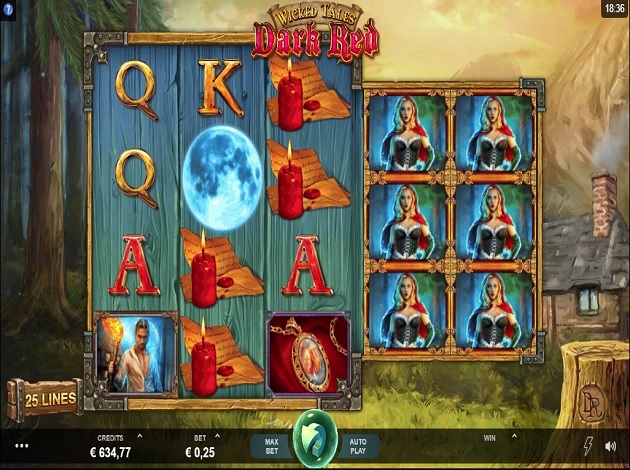 The symbols you’ll see include the main characters of this reimagined slot, including a not-so-little Red Riding Hood with blonde hair wearing a seductive outfit with a little red cape. A man holding a torch, a terrifying wolf and a pendant are also seen, along with a bag of coins, a wax candle, and 4 lower value playing card symbols. The wild symbol is the logo of the game, and it substitutes for all symbols except for the scatter, which is a full moon symbol. On each spin, you have the potential to win a maximum of 5,000x your stake! The wandering reels are a unique reel set made up of 3 reels that spin together and can contain jumbo blocks as well, up to a whole 3x3 in size. The Wolf’s Wheel bonus is triggered by 3 scatter symbols and will display a wheel of fortune full of prizes. Many of these prizes are multiplier prizes with a maximum value of 20x your stake. Otherwise, you will trigger the free spins or the forest of fortune feature if the pointer lands on a character symbol. A feature is always guaranteed to be triggered in the Wolf’s Wheel bonus and you will keep winning prizes until a feature is won! A treasure chest of the wolf’s wheel will lead you to a forest full of leather pouches where you’ll have to pick pouches to reveal cash prizes which are combined with the multiplier as well, which increases by 1 after each cash prize! There are 10 cash prizes hidden in the pouches, with 3 wolves and 2 immunities (axes) as well. If you pick a stopper (wolf), the round ends but you still get 1x your bet. However, you can also collect immunities (axes) to stop the wolf from ending the round! Otherwise, the round ends when you find al 10 cash prizes! The high paying symbols on the wolf’s wheel trigger the 9 free spins and the high paying symbol that triggered the round is guaranteed to appear on the reels during the free spins. The paytable in Wicked Tales: Dark Red is updated whenever you adjust your bet, so you can see the value of each symbol according to your bet. The most valuable symbols are the wild and the Red Riding Hood symbols, both worth a maximum of 20x your bet. The male symbol and the wolf will earn you a maximum of 8x and 6x your bet. The pendant, coin bag, and wax candle are medium value symbols while the lowest payouts come from the card symbols. The design and graphics of this slot are nothing short of jaw-dropping! The reels are set in the depths of enchanting woods, with the sounds of chirping birds, leaves rustling, howling wolves and other sounds heard in the background. The soundtrack is appropriately haunting, and the story told on the reels will keep you on edge for a long time. It’s that kind of game that’s fun to play even in practice mode, because it’s got such a great story and so many cleverly-designed features. A cottage is seen behind the reels with a smoking chimney, in front of which is a tree stump, signs of the axe-wielding man’s presence. The graphics are so detailed in this game that it’s an amazing gaming experience even if you’re only playing for fun! The paytable is easily accessible on the left of the reels through the information button. Here, you can also see the rules of the game and an explanation of the features. From the game panel underneath the reels, you can adjust your bet at any time by selecting the coin size and the number of coins per line. 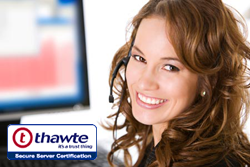 There is also an autoplay option available, with the possibility of spinning up to 100 consecutive spins uninterrupted. Wicked Tales: Dark Red is a truly creative version of Little Red Riding Hood, with a perfect variety of features and enticing gameplay. Start spinning the reels now to win big with Dark Red and uncover the darker side of this classic tale!